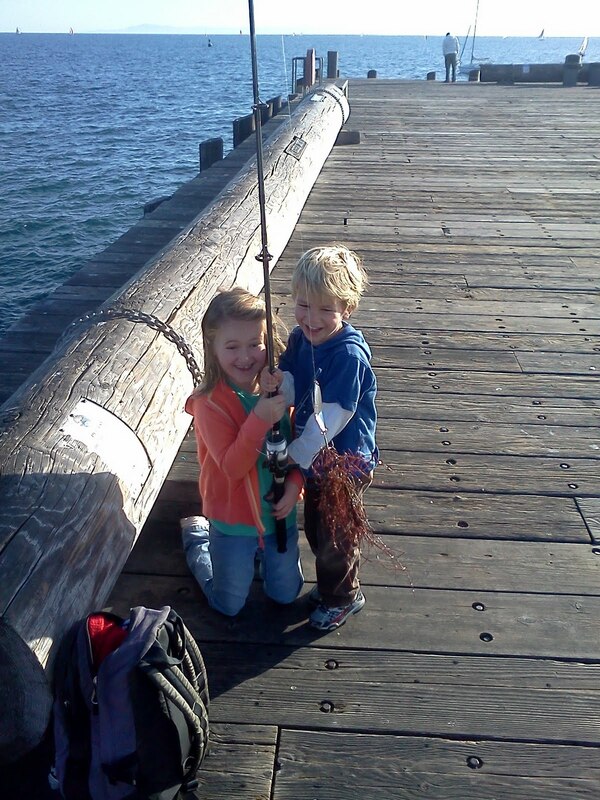 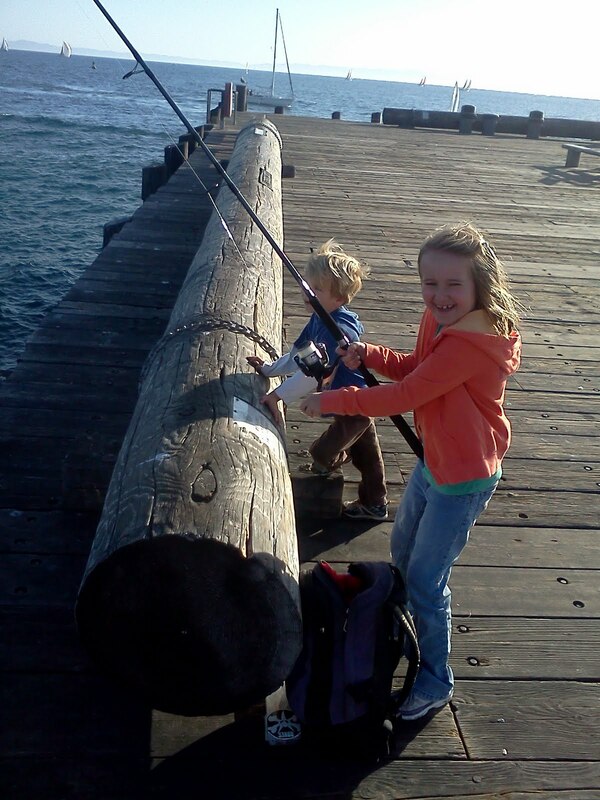 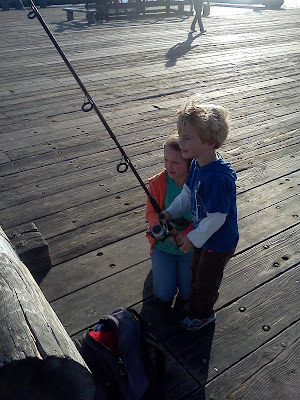 J took the kids fishing off the pier today. They caught seaweed, the pier, and...AN OCTOPUS!!! 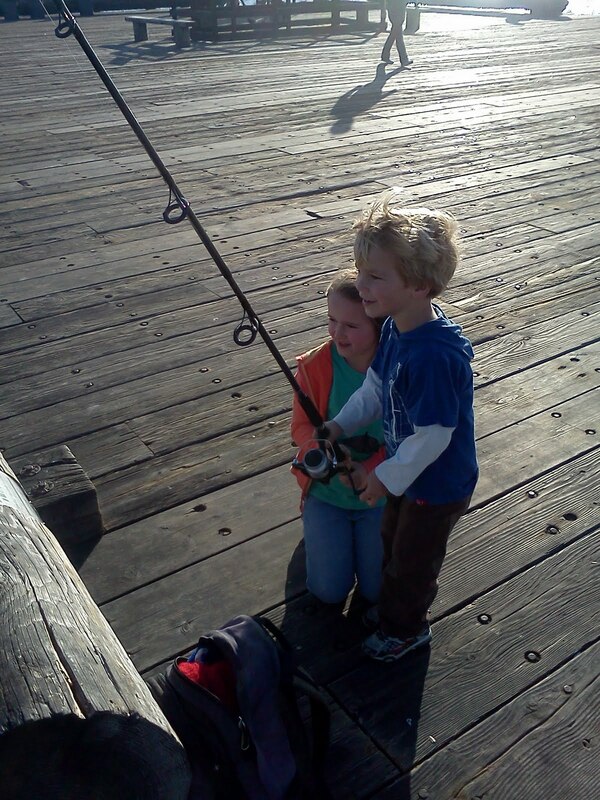 Catch is a relative term, he wasn't snared, he just rode the line up for an adventure. A small part of me wishes that I could have seen it, while an even larger part knows that I would have freaked out and squealed like a little girl. 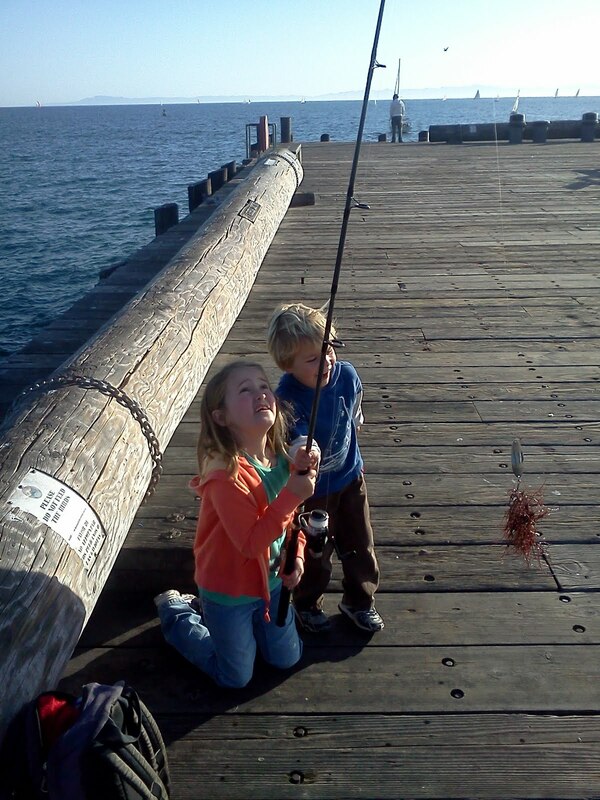 The squishy guy made it safely back into the water.